To get started, fill out our online form CLICK HERE with your search criteria, such as your price range, your ideal location, and how many bedrooms and bathrooms you need. I will contact you promptly with a list of properties matching your search criteria. review your list and narrow down your top 5 properties. It’s time to go tour the apartments that you like! While touring each unit, you will be asked to complete a guest card. Make sure you list “JEANETH JIMENEZ REALTOR ” as your referral (THIS IS REALLY IMPORTANT!). 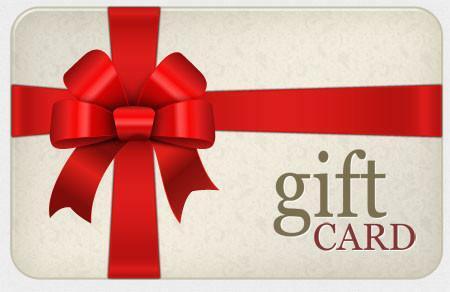 Once your lease has been confirmed and we receive payment, we will mail you a $100 VISA GIFT CARD within 24 hours! Please remember to write my name and company on the Guest Card. As your REALTOR I will save you time: I know the areas and what apartments properties are in those areas. I have access to the apartment community information, I can check availability, specials, rent amount that meets your needs. As your REALTOR I will save you money: I’ll save you money at the pump since you aren’t personally driving all over town. I know the apartments are offering incentives such as free utilities, free rent, etc. As your REALTOR I will save you mental stress: You tell me one time what you need and I will do all the work for you and target results fast. All you do is select the apartment best suited to you. Each apartment community that you visit will ask you to fill out a Guest Card which will ask how you were referred to the community. Please remember to write my name and company on the Guest Card. Also, when you fill out an Application Form, you will be asked to identify how you were referred to the community. Please remember to write my name and company on the Application Form as well. Please let me know when you fill out an Application Form or sign a lease. The apartments do not usually call me. The only way I know you have filled out an Application Form or signed a lease is if you call me. Fill Out A Guest Card Guest Cards are used by apartment communities to record information about you (i.e. your name, date of visit, approximate moving date and how you were referred to the apartment). Each apartment community uses a slightly different Guest Card, however, the purpose is the same. Below is a sample of a typical Guest Card. When you decide on a new apartment, you must fill out an Application Form. The Application Form is used to identify who will occupy the apartment, credit history and how you were referred to the apartment community. Most apartment communities use a standard Rental Application Form. Below is a sample of a standard Application Form. In the box titled Why You Rented Here, please remember to write my name and company.